Item Roads 124 - Road between Wellington and William Districts (between Ommanney Road & Williamsburgh) by F.T. Gregory [scale: 1 1/2 miles to an inch]. Road between Wellington and William Districts (between Ommanney Road & Williamsburgh) by F.T. Gregory [scale: 1 1/2 miles to an inch]. 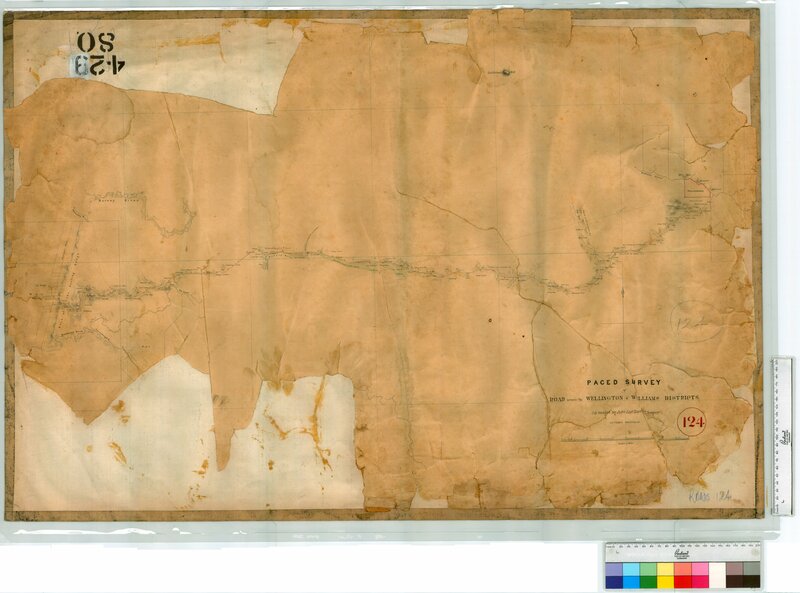 Confirm Item Request: Road between Wellington and William Districts (between Ommanney Road & Williamsburgh) by F.T. Gregory [scale: 1 1/2 miles to an inch].